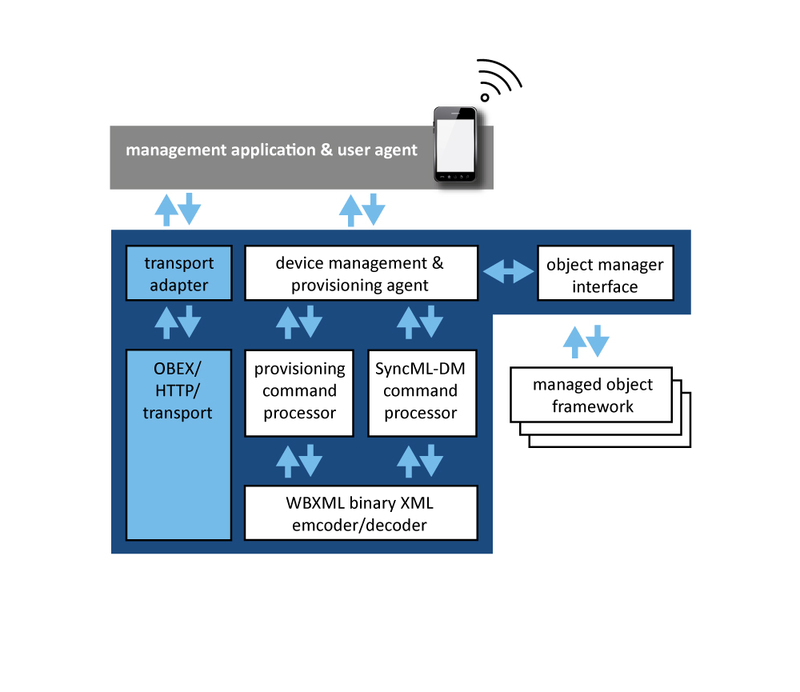 Device Management Software Development Kit (SDK) is a full-featured toolkit that enables developers to integrate the Device Management protocols into a wide range of embedded devices. Designed for client devices such as cell phones, smart phones and personal digital assistants (PDAs), the development kit provides a complete suite of portable source code, including SyncML parsers, easy-to-use APIs with comprehensive documentation and sample applications. This allows developers to reduce their development cost and shorten time-to-market. With Device Management toolkit, manufacturers can deliver on the promise of a connected world by enabling carriers to utilize industry standard methods for handling and exchanging information between mobile devices and configuration servers across various data networks. Open architecture enables management of an unlimited set of object types and tree structures. Multiple device support – Client support for management by one or more management servers. Small code base enables developers to implement Device Management in memory-limited devices such as cellular phones, smart phones. Shortens time-to-market and increases return on investment by reducing development cost and testing cycle. SyncML Device Management v1.2.1 compliant client with OMA Client Provisioning. WBXML processor (encoder/decoder) with support for SyncML Representation, Meta Info and WAP-Provisioning document type definitions. Portable ANSI-C code, compile time configuration options. Transport adapters for OBEX (client and server) and HTTP client transports. API documentation for Device Management / Provisioning Agent, Object Manager and Transport Adapter. Server layer authentication – Support for SyncML Basic and MD5 authentication as well as HMAC Integrity checking.